The president of DevMcGill loves design. One passion among many. 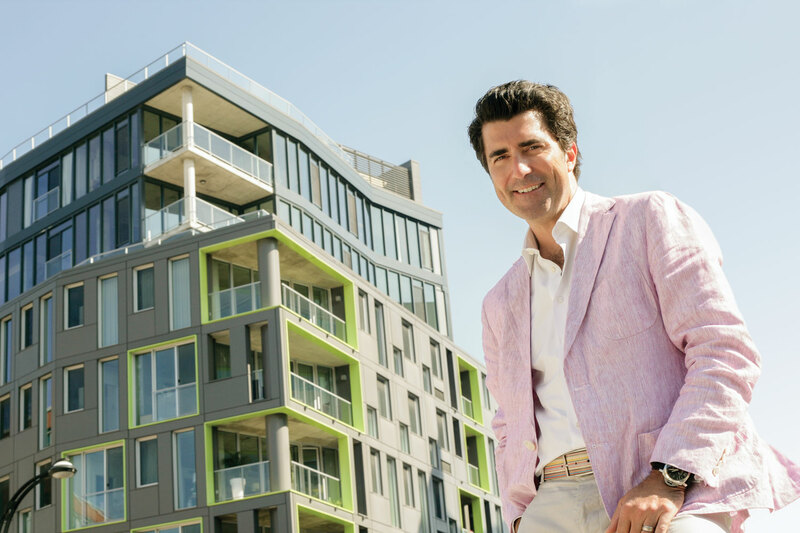 A rendezvous with a young condominium developer who has been ‘building Montréal’ for nearly fifteen years. 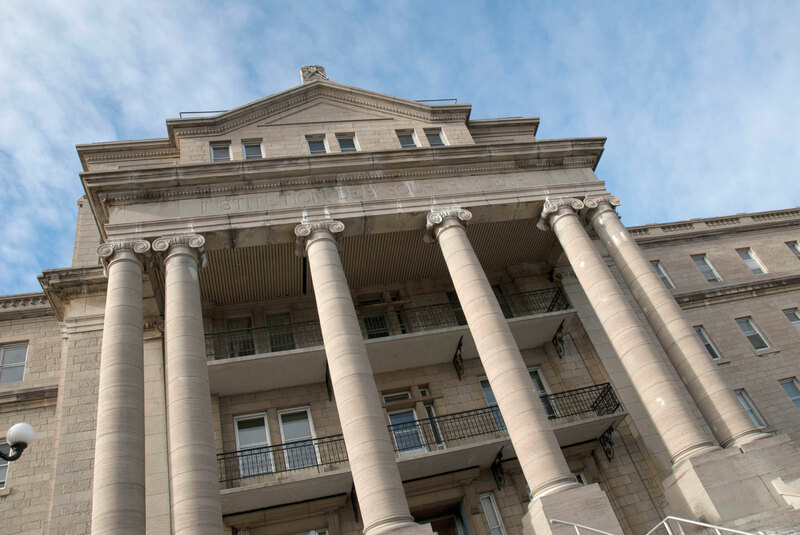 I have an appointment at DevMcGill headquarters, McGill Street in Old Montréal. The layout of the reception area sets the tone: glass partitions, plexiglass panels on the ceiling and walls, carpets from the hip, young Québec company Couper Croiser, a factory metal ceiling, concrete beams. Once inside, high-tech work tables and a trendy cafeteria with rough-hewn wooden counters. In the inner office, stylish aluminum chairs. Stéphane Côté wears quirky cufflinks by English fashion designer Paul Smith with matching belt, all accompanied by a vividly colored blazer: «It’s summer,» he exclaims. 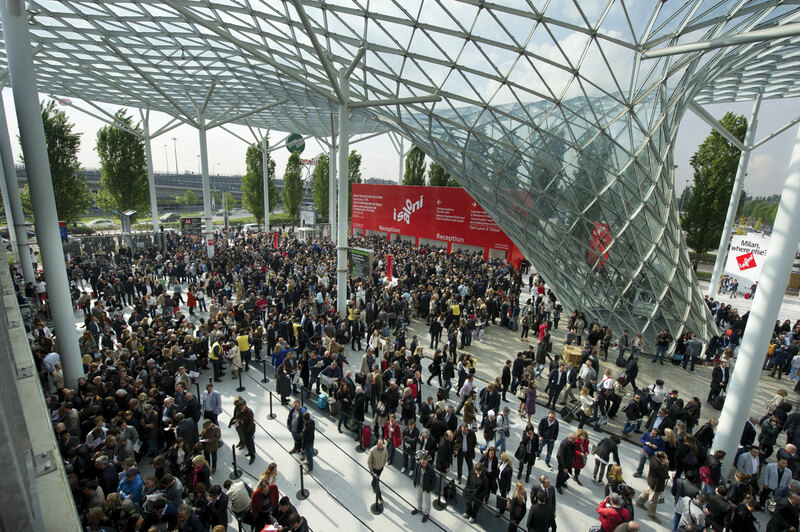 Côté has recently returned from the Milan Furniture Fair, where he spent time visiting and spotting the trends: colors, lines, materials… Earlier he attended an exhibition of developers and builders in Florida (NAHB International Builder’s Show), where he gleaned new ideas and sniffed out leading trends. More accustomed to the style of American, European, and Asian designer hotels, Côté thinks highly of the ‘ergonomics’ of Japanese construction, a word he uses often. He is a man with a passion for effectiveness. He draws on multiple sources to decode his context and surroundings. Before the birth of his two young children, Stéphane Côté lived life on the edge. He climbed at Kilimanjaro, Aconcagua, and McKinley, heli-skied, scuba dived, drove race cars, piloted airplanes, parachuted… «Work Hard, Play Hard», he claims as motto and method to disconnect and return recharged. Côté however gives more of the appearance of an urban jungle type than a beast of the wild. In fact, he loves cities, especially Montreal. 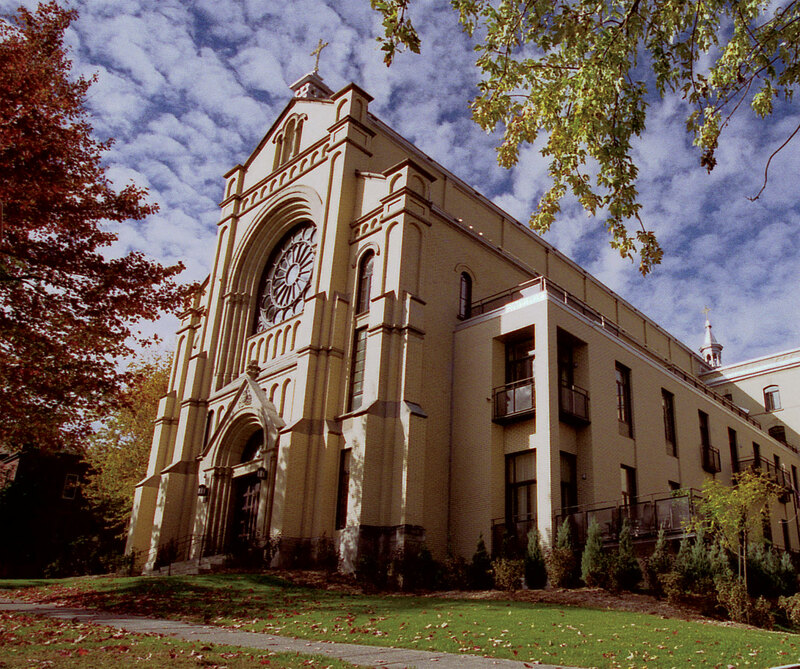 Since 1992, Côté has been changing the face of the city, restoring key heritage buildings and winning awards for his projects: 100 McGill (his first, in which he introduced the loft concept to Montreal), Caverhill, Square Benny, the Couvent Outremont… His latest two obsessions: Castelnau (a former religious community building) near Jarry Park, and the St-Dominique (formerly the Eckers Brewery) on the Main in the Quartier des Spectacles, projects that combine restoration and new construction. For all phases of the M9 however, located in the last available section of the Cité du Multimédia, Côté designed and developed entirely new installations in order «to be more ‘flyées’.» DevMcGill collaborated with Sid Lee Architecture, responsible for the pale green and bright orange spray paint treatment, backlit as well! 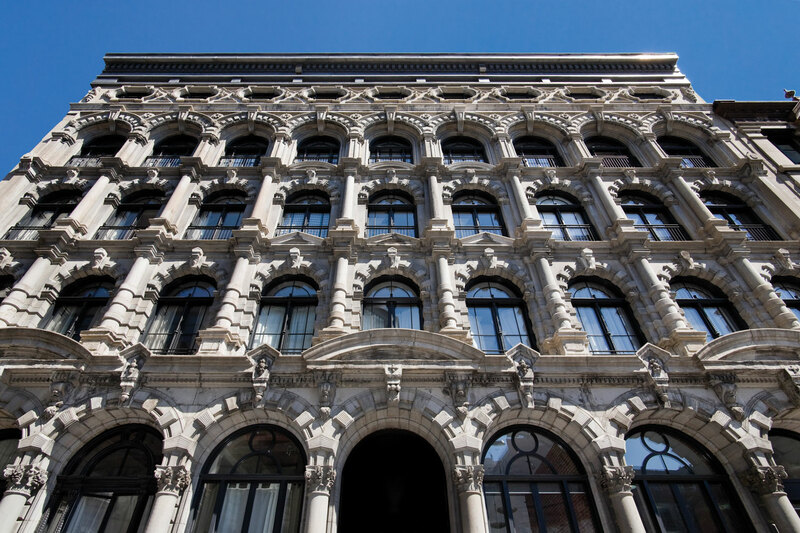 Since 1992, Côté has been changing the face of the city, restoring key heritage buildings and winning awards for his projects. Stéphane Côté is not strictly speaking a design freak. Rather, he enjoys fine things and is conscious of his environment. As an example, he explains that during a trip to Japan he noticed the electrical outlets in his hotel room were installed above the bedside tables and desk instead of below, thus facilitating the recharging of computers or phones. For Côté, detail counts. 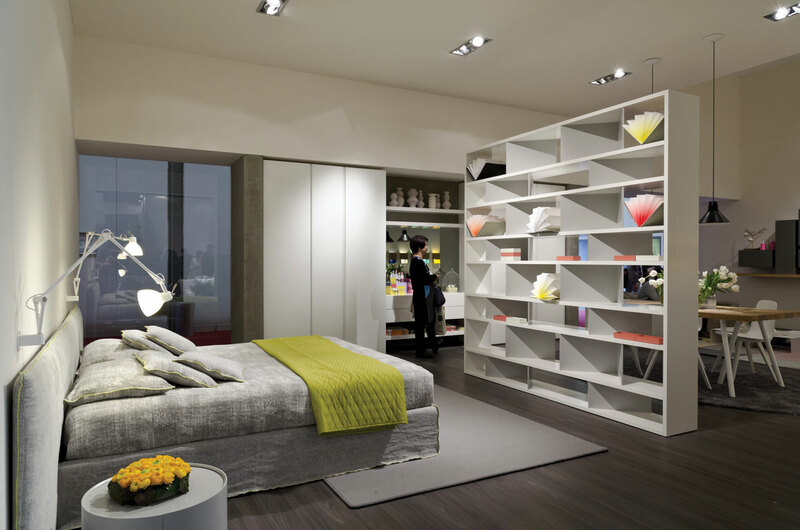 In Milan, he was surprised by the scale and production quality of Italian manufacturers, and particularly fascinated by the ergonomic style of Italian furniture. Limited space in Europe has lead to the development of versatile, reusable, and compact products. Côté clarifies however that we cannot incorporate design ideas out of context: they must be adapted to the needs of the local market. Attitudes and purchasing power differ from one continent to another; the task is to take away the best of each. Asked about his favorite architects and designers, Stéphane Côté names Dutchman Winy Maas, whom he met at C2-MTL, the first phase of Creativity + Commerce, held in May in Montreal. He also admires the versatility of French designer Philippe Starck, who is equally at home with consumer product design, or furniture and lighting design, as with a complete hotel overhaul. 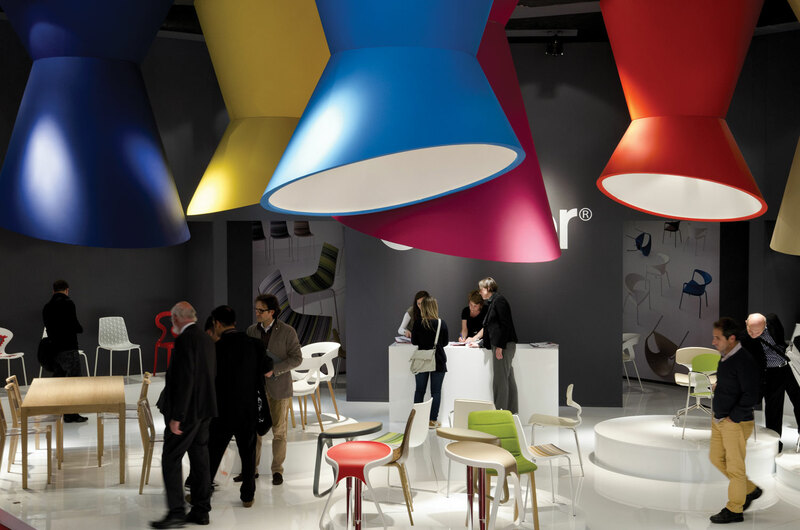 Côté’s conviction In Milan, he was surprised by the scale and production quality of Italian manufacturers led him to acquire a (Philippe Starck) Costes chair. At home, the UQAM graduate in economics and marketing takes care of his own interior design. Nothing new for him: he did the same for his parents’ home as a young man. Beneath a quiet exterior, Stéphane Côté emits a creative effervescence. He is a breed of entrepreneur not principally motivated by profit, but rather by a responsibility to his city. 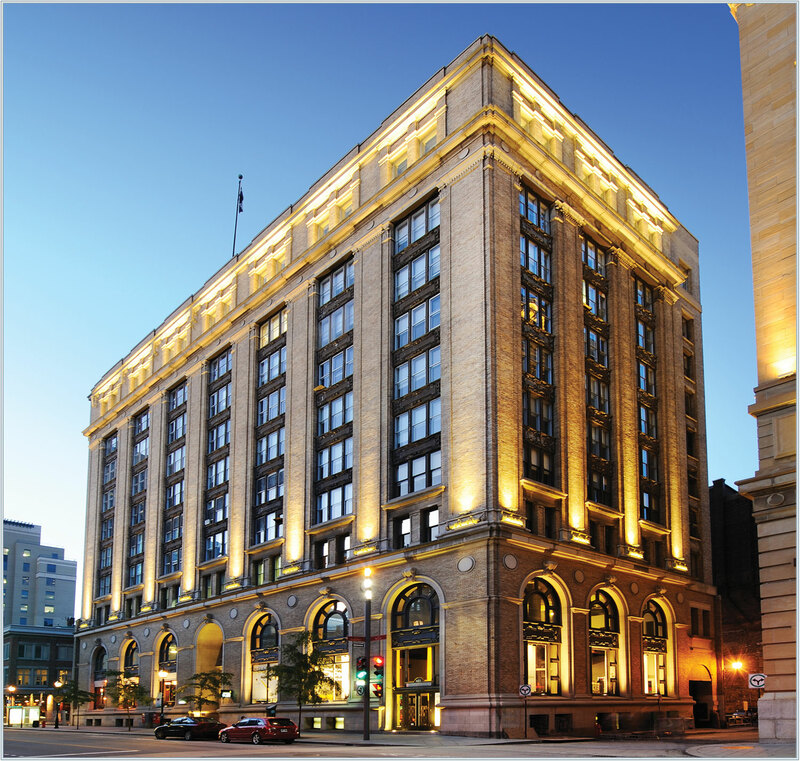 Stéphane Côté is proud of the legacy of architectural quality he has bestowed on his fellow citizens. As he continues to direct development in the city he loves, Côté is forever striving to raise the bar via the UNESCO City of Design initiative aimed at creating opportunities for designers in Montreal. Whatever the challenges that lie ahead, Stéphane Côté is prepared to embrace them and respond with passion, like a new project for downtown presently simmering that will be unveiled shortly. The name already has us dreaming: ‘Univers’! (Universe).